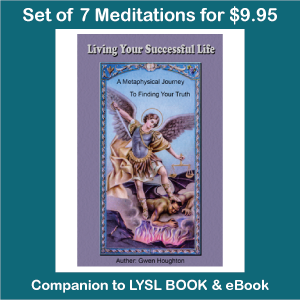 *** The meditations are also written out in the book, so the MP3's are not mandatory, but they are convenient to have. 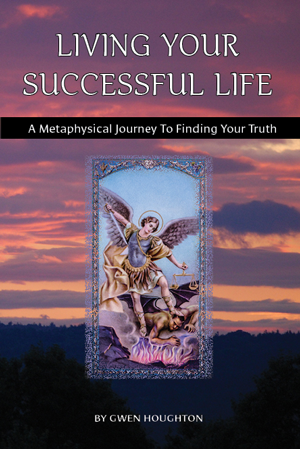 This is a book about conscious living, the laws of attraction and the philosophy of metaphysics for real people! Real people like you can create the life that you have always wanted. By learning how take control of your world through conscious living and working with Your Personal Team, by demystifying the laws of attraction, and by learning the philosophy behind metaphysics in plain English. The key to your successful life starts with making conscious balanced decisions, by knowing how the energy around you affects your life and how you affect it by becoming self-empowered. This book has come about because I kept asking questions like; who am I, what is the meaning of life and what is my purpose? I was on a mission to demystify the concepts of conscious living, the laws of attraction, and the philosophy of metaphysics. What finally came to me was unexpected and quite frankly blew my mind, and was way different and much more than I ever expected. This information even makes me look like a heretic in the world of metaphysics, and I am not being received very well at all within the metaphysical community, even though these concepts and teaching have been around for many thousands of years. The giant secret is that we are the only ones that are in charge of our life and no one else has control of us. That’s it, it sounds simple but when we start digging deeper we find that all of our paradigms are based around the fact that there is this higher power that is in control and we need to hand over our power and this is where we begin to climb the slippery slope of spirituality. Balance is the Key to Living Your Successful Life! 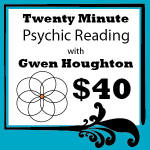 Now, I know that this sounds like a sales pitch, but this is in regards to you personally! 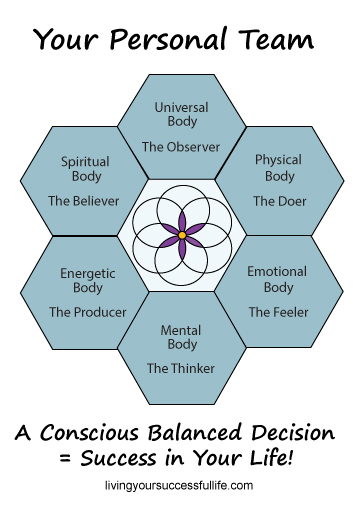 As humans, it is key to know that you are made up of six basic bodies, and that you need to consciously get these bodies working together as a balanced cohesive team. You also need to know that you are the only ones that are in full control of your bodies and your world so that you can start to live the successful life that you have always wanted to live. What does this have to do with metaphysics? “Metaphysics is a type of philosophy or study that uses broad concepts to help define reality and your understanding of it. Metaphysical studies generally seek to explain inherent or universal elements of reality which are not easily discovered or experienced in your everyday life. (Glossary Definition: Metaphysical)” Metaphysics and the Law of Attraction are one in the same because both teach us that what we put out into the universe comes back to us, in other words like attracts like. This is true whether we are aware of it or not, the outcome is the same, so every day of your existence you are literally creating your life experience whether it is intended or not. The question now is; how do you take control of your world? This is where I try to keep it easy by presenting all these parts of you as the six easy to remember bodies which combined create Your Personal Team. You all know that you have a physical body; but this is just one aspect of you and it houses a complex system of subtle bodies that cannot be seen, so this is your metaphysical environment. Knowing all these parts of you is the key component to living a healthy existence here on earth, even though you can’t see them. For the purpose of easy explanation I break down these subtle bodies into the emotional, mental, energetic, spiritual, and universal bodies. These six components that make up your human existence are grouped together as the six bodies that are called Your Personal Team. Just like in life, the team is only as strong as its weakest link. So let me guide you on the journey of your life to formally meet Your Personal Team one member at a time. You will get to know who you really are through meeting these different aspects of yourself through guided visualizations, and start to take control of your life by creating a cohesive team, so you can start Living Your Successful Life. 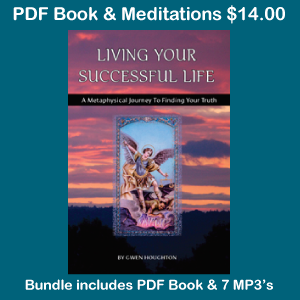 You can learn how take control of your life and create the world that you really want by learning how to demystify your world through metaphysical philosophy and begin to understand how the laws of attraction affect your life. Remember, success it a state of mind. You will only be successful if you feel successful. Glossary Definition: Metaphysical. 2012. http://www.pbs.org/faithandreason/gengloss/metaph-body.html. 22 July 2012.